Rajuk Uttara Model College Admission Result for Class 6, 7 and 8. Rajuk Uttara Model College is one of the leading educational institutions in Bangladesh. The institution has a long reputation of the very best school and college in SSC and HSC exams for a number of times. So it can be said that, admitting into Rajuk Uttara Model College is something of high demand among the secondary and higher secondary level students of Bangladesh. The institution will take a number of students from class 6 to class 9 with a view to filling up the vacant seats. Today we will let you know, Rajuk Uttara Model College admission of 2017 and Rajuk Uttara Model College admission result as well. Online application deadline was December 6, 2016 and the exam times are either 9.30 am or 2pm. Exam duration is hours. There will be questions from Bengali, English and Mathematics for Class 6 to Class 8. Total marks for the exam is 100. 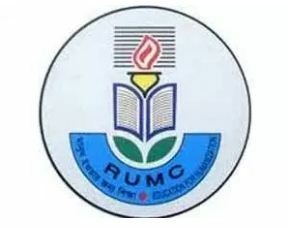 We will also provide you all the information of RUMC admission test result for 2017. So do not forget to browse our site. Get now Rajuk Uttara Model College Admission Test Result 2017.